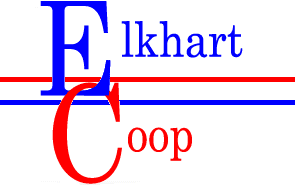 Elkhart Coop is Celebrating 102 years of Cooperative Service to our Member/Owners and the Agriculture Industry. Elkhart Coop is pleased to announce we have teamed up with CFA to offer input financing. Deadline for financing spring planting inputs for fall harvest is April 30th. Give us a call and see how you can get 4.75% variable rate financing through Feb 15, 2020. A bit of information about Kansas Cooperatives. Bulls are still struggling to get any news to get any type of rally going. Hard red winter wheat has been seeing good export business with the down turn in the market. Corn is struggling to compete with South America in export business with cheap price and cheaper currency. Beans also facing the same South America problem but are also suffering from drop in demand. Markets have not seen much reaction from the latest round of news about a China trade deal getting done in May or June. Corn planting is off to a slow start but not slow enough to cause any alarm at this point. As a producer if Dec corn futures get back through the $4.00 thresh hold it will be a good time to get some new crop YC contracted. This material should be construed as market commentary, merely observing economic, political and/or market conditions, and not intended to refer to any particular marketing decisions. "When we give ourselves permission to fail, we, at the same time, give ourselves permission to excel." The time has come to fill up your tanks for spring planting. Don't wait until you are on empty to call. Prices don't seem to be getting any cheaper so there is no need to wait. And always thanks for your BUSINESS! !